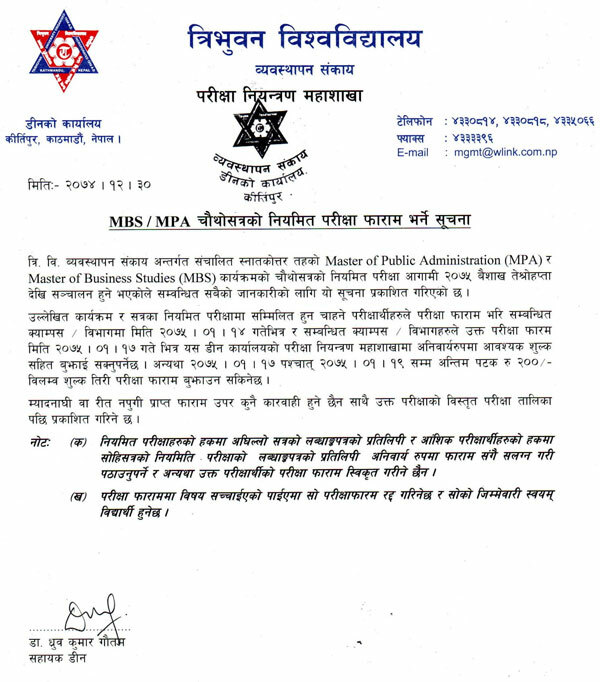 Tribhuvan University, Faculty of Management has published notice regarding the filling up of application form for 4th Semester Examination of MBS and MPA. The application form should reach the Dean Office by Baisakh 17, 2075 (April 30, 2018). Applicants can submit the application form till Baisakh 19, 2075 (May 2, 2018) by paying an additional fee of Rupees 200.